Think you’ve got this whole 30A beach thing down? Well, let’s see … you’ve cheered the sunset ringing of the bell at Bud & Alley’s, you’ve sipped mimosas while grooving to Dread Clampitt at The Red Bar and you’ve YOLO’d your way across Western Lake … but have you experienced the magic of a bonﬁre on the beach? When you combine the fun of a campﬁre (s’mores, cuddling and shared laughter) with the dramatic beauty of the beach at night, it becomes an experience that is hard to top. Cool sand between your toes, the warmth of a roaring ﬁre, the sound of waves crashing in front of you while burning embers ﬂoat upwards towards the sky — it really is an extraordinary experience. 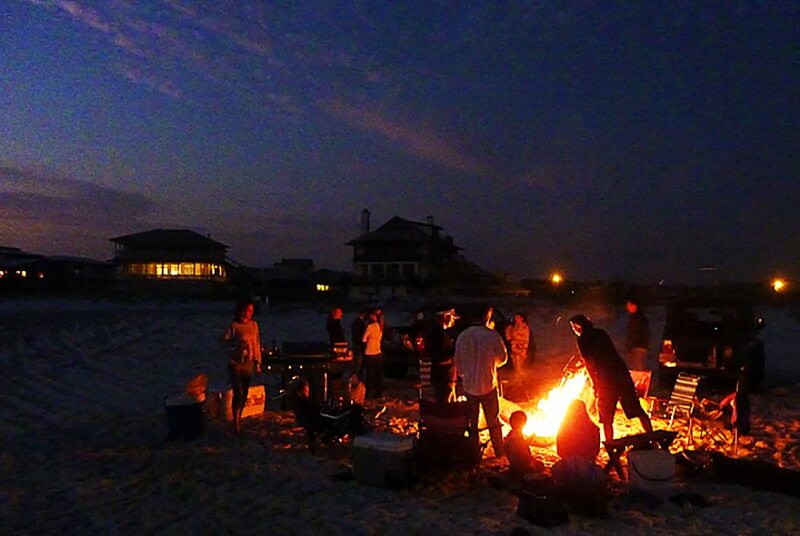 Book your beach bonfire now. 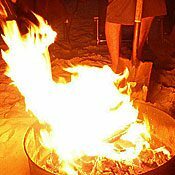 Of course, the only thing better than enjoying a beach bonﬁre is not having to haul all the chairs and coolers down to the beach, setting up the fire pit, and then cleaning up the ensuing mess in the dark. 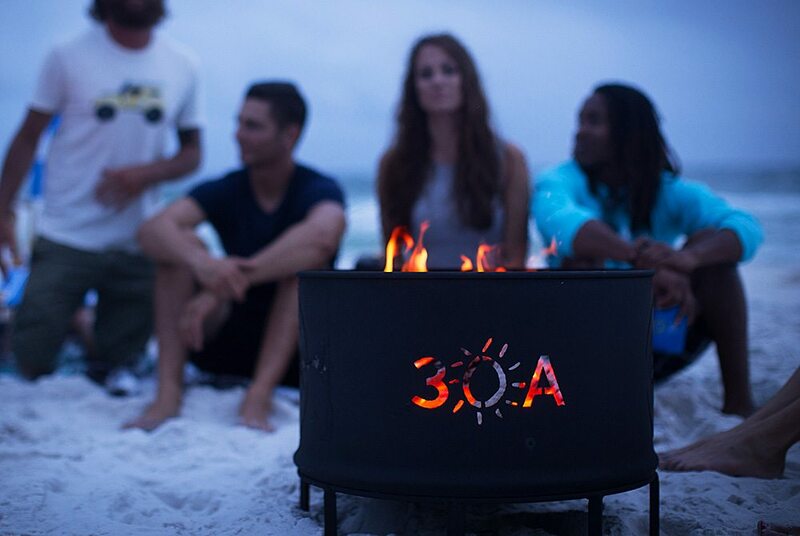 30A has plenty of companies willing to come down to the beach and set one up for you — and they know how to do it right. You can even add s’mores to your evening of fun — great for kids and adults alike. Who doesn’t like to roast a good marshmallow? If you’d rather do it all yourself, it’s not hard to obtain a permit from the South Walton Fire District. Cost is $50. 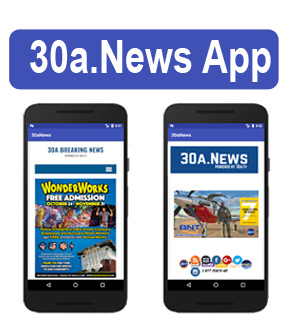 Visit their website for more info. WARNING: Fines for a not properly permitted or executed beach bonfire range from $200 to two months in jail, so make sure you understand the rules and regulations before setting out on your own. Book your beach bonfire here now or visit this page for more information about permits and regulations. SUSAN VALLEE has been writing about the beauty and quirkiness of 30A for longer than she’d care to admit. A transplant from Atlanta, Susan loves the small-town feel and tight-knit local community here. Susan is the author of Meet Me on 30A.